An invitation letter for US visa can be said to be a formal or an informal letter that is sent to a person or a group of people requesting their presence to visit or attend an event in the United States of America. Usually, an invitation letter is sent to the recipient(s) in advance so that they can have enough time to plan and prepare. 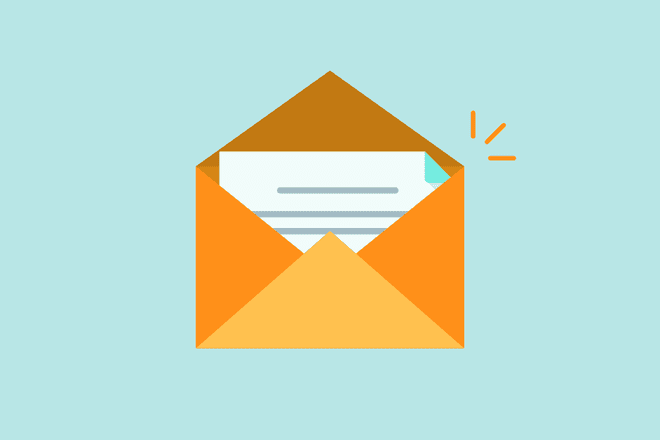 In this article, am going to show you how to write an invitation letter for someone that is applying for a tourist visa (B1/B2) to the U.S. Am also going to give you sample invitation letters that you can help you write yours. 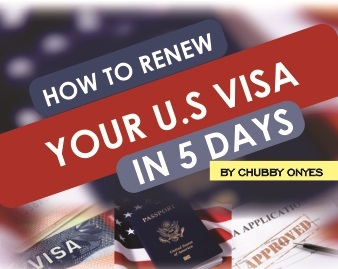 In recent times, getting a U.S. tourist visa in Nigeria can be very challenging. This is because over the years, the United States government has noticed that Nigerians enter the U.S and then never leave or over stay their visit. Though a letter of invitation is not listed among the documents required to get a U.S visa but it goes a long way to show to the visa consular that your intention to visit the U.S and return back to Nigeria is genuine. Therefore, if you are travelling to visit a family relative, a friend or attending a conference in the United States of America, it will be to your advantage if your host writes and sends you an invitation letter. You in turn will present this letter at your visa interview appointment. The complete name of your guest (as stated in his/her international passport). The international passport number of your guest. The address and telephone number of your guest as filled in U.S application form. State your relationship to the guest you are inviting to the U.S.
Give details on living expenses and accommodation of your guest in the United States. State how long your guest will be staying and the date he/she will be leaving the U.S. The complete name of the host. The address and telephone number of the host in the United States. The occupation of the guest. There are two ways to address an invitation letter for US Visa. You can address it to the visa officer at the U.S embassy or to the person you are inviting to the U.S. Find below sample invitation letters addressed to the US consulate and to your guest. How are you? How is mama and Nnamdi? Hope you guys are really doing well. Am writing to invite you to spend next Easter with us. We have plan to visit famous tourist places like the reunion tower, Dallas world aquarium, African American museum and so much more. . It will also be an opportunity for you to go sightseeing and to experience the American culture and lifestyle first hand. It is a good thing that you will be coming on the 5th of April 2018 and leaving on the 24th as my annual leave will be starting the 1st of April. I will take care of your entire USA tour expenses. This includes food, accommodation, the round trip air fare and all your other personal expenses during your stay in the United States of America. My name is Inez Hilger, and I reside at 2496 Millbrook Road, Chicago, IL 60606. I am a lawful permanent resident alien in the United States of America. I am requesting that you issue a tourist (B1/B2) visa to my girlfriend Abeni Pamilerin who resides at 10 Ozumba Street, Wuse, Abuja, Nigeria. We have been close friends for the past 10 years and i will like her to visit me this summer. Abeni will be visiting with me from 5th of 2018 to the 21st of June 2018. This will be a nice time for her to visit as the both of us will be on leave at this time. During her stay, I will be fully responsible of her living and personal expenses while she is in the United States of America. She will be staying with me at the address stated below. She will be returning to Abuja, Nigeria upon the termination of her visit. This letter will be presented to you by Abeni. She will also be presenting to you other evidence to establish her close ties with Nigeria, and to assure you that she will return to Nigeria on the 21st of June 2018. I hope this article helps. If you have a question or you want to make a suggestion, use our comment area below. Learn: How to Fill Out your U.S application form. Learn: Visa Interview Sample Questions and Answers. Tags: invitation letter samples, What is an invitation letter for US visa? I add information, full name, phone number & address of my friend who invited me to USA in my Visa application form..do I still need letter when going for interview? Do I still need invitation letter when I’m going for interview… his personal information as being included in my u.s Visa application form? Can i use an uncle account statement for us visa? I would like to invite my boyfriend to come visit me. He is from Accra, Ghana and I am a US citizen. If I want to write an invitation letter, will I need exact dates of his arrival and departure? I would like for him to come soon, but I don’t know how long this process will take. I want my boyfriend to be present at my graduation ceremony. how can i do that? Do i need to send him an invitation directly or to the embassy? my wife to be wants to invite to usa. how will she write the letter and what are the requirement? she is a novice in all this me too. how soon?